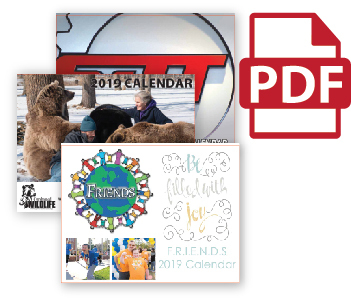 Our 'imprinted' or 'standard' calendars include basic setup using your supplied text/copy, logo(s), photo(s), and layout instructions to create or recreate your personalized calendar imprint. 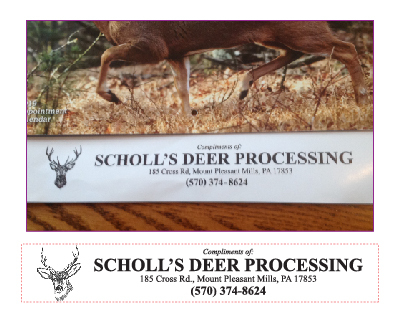 Examples of imprints re-made with free graphic design assistance. 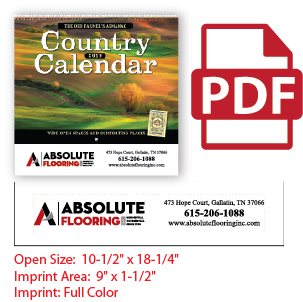 For 'custom' calendars, we include placing your print-ready cover and monthly images (with bottom ad imprints) into our standard template, with basic calendar-grid customizations available. 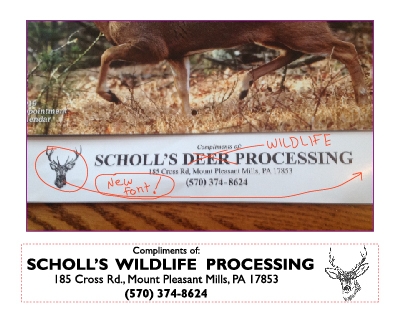 For ‘standard’ and ‘custom’ jobs, we can send multiple proofs with changes and/or fixes without charge.